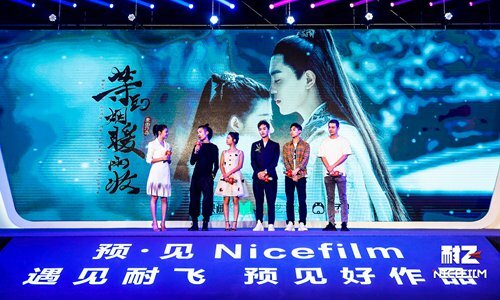 Chinese studio Nice Film announced a slate of future projects at a press event in Beijing on Friday. According to the announcement, the studio will work with well-known director Wuershan and director Xu Haofeng to adapt the filmmakers' film productions into streaming TV series. Wuershan's fantasy Fengshen Trilogy and Xu's hit work The Master number among the films to be adapted. Additionally, Nice Film is also looking to bring online literature works to TV. Young director Xiao Yang will produce a TV series adaptation of Talented Doctor, the most popular novel on Baidu's online reading platform. "Find content that young people like and cover the topics they like, and they will pay to watch," Nice Film CEO Lu Fanxi said at the event when discussing the studio's process for making hit content.